Sometimes, the best place to watch the Super Bowl is right on your couch, with the nacho cheese flowing and a cold one in hand. Other times however, it's best to go big. If the latter strikes your fancy this year, we've got the event for you: Super Bowl LII at PH-D. 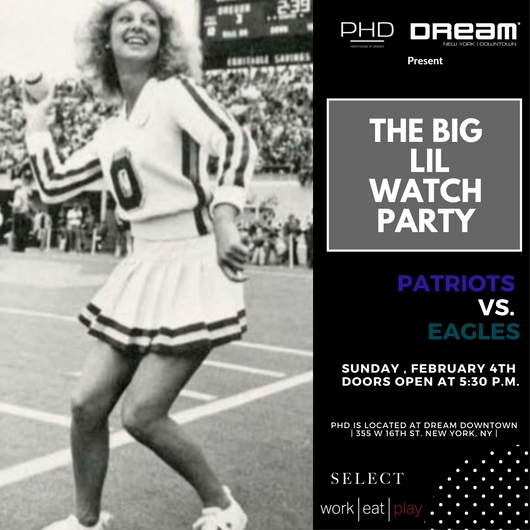 It all starts this Super Bowl Sunday (Feb. 4th), with an open bar from 5:30 - 6:30 pm, at the sky-high PHD at the Dream Downtown. Watch the big game in snazzy surroundings with options like beer buckets, wings, and all proper accoutrements. Follow the RSVP link to redeem. Make sure to use the discount code "SELECT" to receive an exclusive 20% off face value.